Building Award Winning Oak Garages Across Sussex. 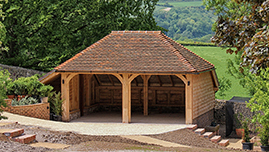 Our team have been building oak framed garages in and around Sussex for many years. You may have seen our buildings dotted around the countryside or at local shows. We have a local reputation for our generous, beautiful designs and always encourage clients to come and see this for themselves to truly appreciate the details in our work. We build our oak garages from a quality checked oak timber stock – its strength and durability lends itself to our designs perfectly. Whether you are looking for somewhere to house your classic car or hoping to add an additional outbuilding to your property, we have a range of designs to suit your requirements. We can even tailor them to your needs and create something bespoke for you. Our experienced craftsmen place emphasis on the quality and timings of each frame and this standard is reflected in our proud membership of the Guild of Master Craftsmen. 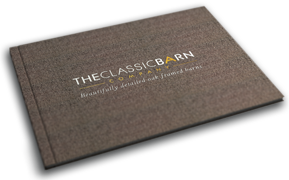 Upon your request we can visit and conduct a free site survey, we will discuss your requirements and show you the various options you have for finishing your oak frame. 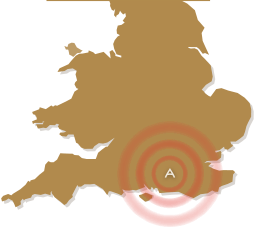 Our service can also take your oak framed garage through planning, if required, with the local Sussex authorities. We can take care of your entire project from start to finish so you can sit back and watch the building take shape, whilst knowing that the quality of the workmanship you receive may exceed your expectations. Take a look at our video to see some of our previous projects and the level of craftsmanship we deploy. Our oak barns and garages offer a valuable investment that will add value to your property whilst giving you the perfect extra space you’re looking for. Please contact us to request a brochure and to receive a no obligation quote for your project. Commissioning projects in Arundel, Midhurst, Horsham, Chichester, Crawley, Billingshurst, Pulborough, Storrington, Henfield, Amberley, Glynde, Slindon, Ringmer, Litlington, Stanmer and Ditchling.